Once again it’s been a while since I updated my blog. Though previously I had wanted to avoid posting two sweet dishes back to back, this recipe is so easy that I really wanted to share it. The first time I made it I decided to make the caramel sauce from scratch following David Lebovitz’s recipe. Making caramel seems to be hit or miss with me. Sometimes I will get the batch right on the first try, but other times I’m likely to turn an entire bag of sugar into charcoal. Ree Drummond (the Pioneer Woman) has a great fool-proof recipe for caramel sauce as well, if you’re not prepared to tackle the daunting task of creating molten sugar syrup the old fashioned way. And of course if you want to take the easiest way out, get thee to a local grocery store and buy a jar of their tastiest caramel. Ideally you’ll want something with pouring consistency that can easily be swirled throughout your vanilla mixture, but let me just say that I tried this with a jar of super firm dulce de leche and it was awesome. While you don’t get the beautiful marbled appearance that comes with using a more liquid sauce, the finished product is chock full of hidden caramel treasure globs. Yeah, that’s right – treasure globs. Whichever way you decide to do it it’s gonna taste incredimazing. 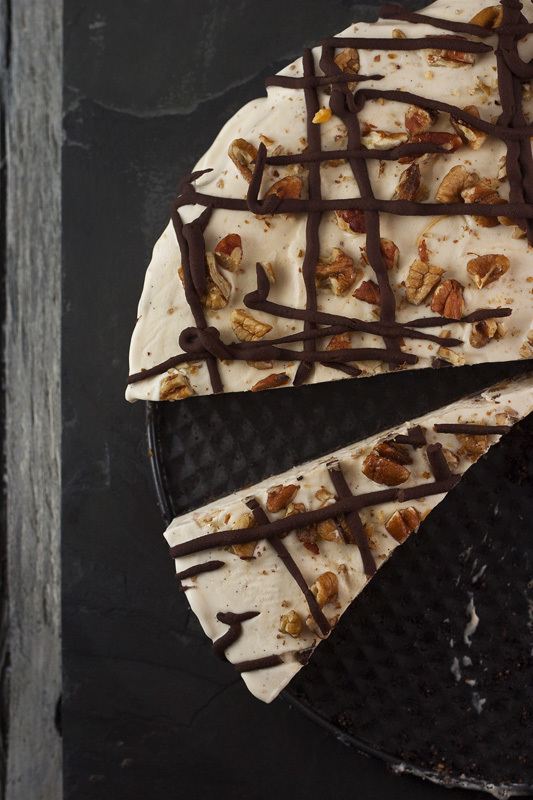 Some of you may be sitting there asking yourself, “What the heck is semifreddo anyway?” Well, it’s basically a frozen dessert similar to ice cream, except it is served slightly soft… which makes sense when you consider that semifreddo literally translates to “half cold”. The texture is silky and creamy and wonderful… but that’s not even the best part. The really great thing about it is that there is no churning required. It is a fine day indeed when an apartment dweller with limited storage space for single use appliances learns how to make a delicious no churn ice cream. 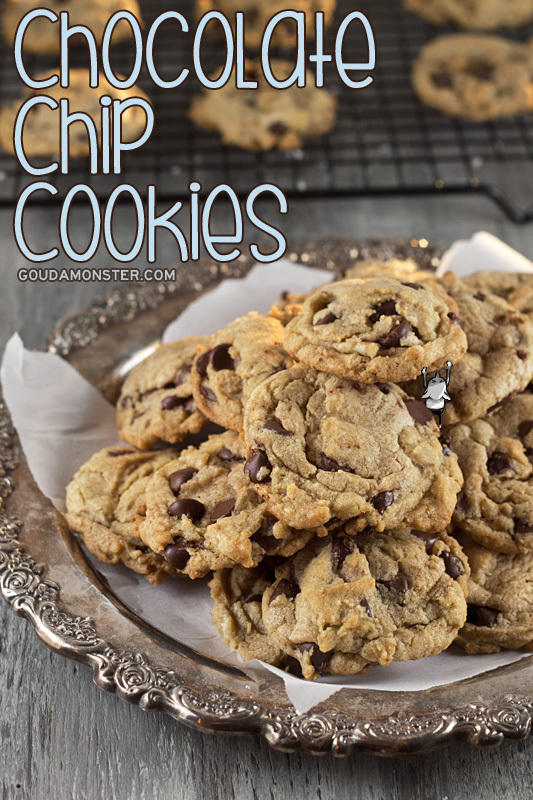 Honestly I am torn between feelings of righteousness and guilt over sharing this recipe. On one hand you’re going to learn that you can make a super awesome dessert that people will think you slaved over (when it’s actually in the freezer in about 20 minutes), but on the other hand I’m giving you the key to a vault that holds eleventy billion scrumptious calories. You know what? I’m over it. Go make this and thank me later. 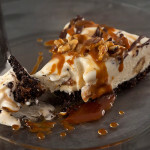 A delicious no churn ice cream pie swirled with caramel and nuts. 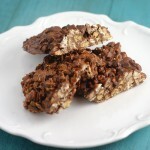 In food processor add wafer cookies, 1/2 cup of pecans, and brown sugar. Pulse until coarse and crumbly then add in the melted butter and pulse until mixture is just moistened. Press into bottom of a round springform pan and bake for 10 minutes. In a large bowl whisk together sweetened condensed milk, rum, vanilla bean scrapings, salt, and 1 tablespoon of your caramel sauce. Set aside. Whip the whipping cream until soft peaks form. I prefer to do this in my food processor, but you can always use a hand held beater or even good ol’ elbow grease if you like. Very gently whisk half of the whipped cream into your sweetened condensed milk mixture. When combined gently whisk in the rest until smooth. Stir chopped pecans into prepared caramel sauce. Depending on how much “swirl” you would like in your ice cream you can always adjust the amount of caramel and pecans to suit your taste. Pour half of the cream mixture onto the baked and cooled crust. 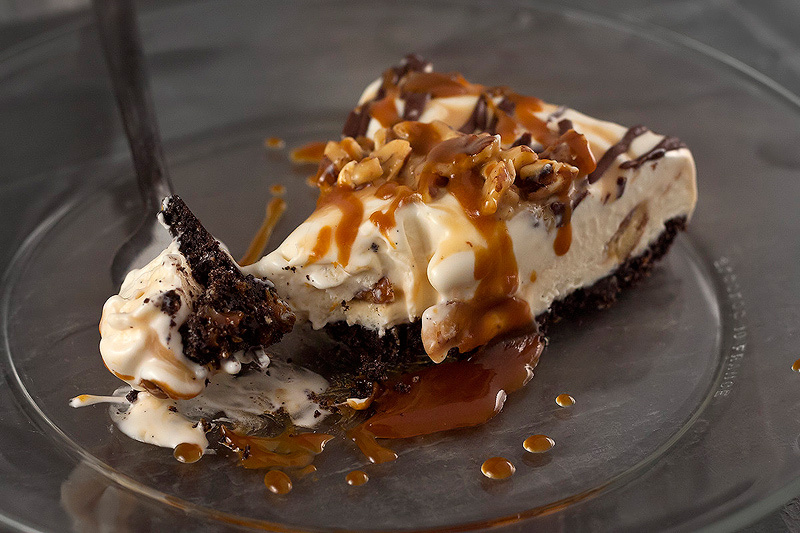 Follow by spooning half of the pecan caramel on top of it. Repeat this step so you have cream, caramel, cream, caramel in the pan. Gently swirl a knife through it to create a marbled effect. Transfer to the freezer, cover, and allow to set for a good 6 hours, preferably overnight. To release it from the pan run a sharp knife along the edges and pop the springform clasp so the pan opens up. 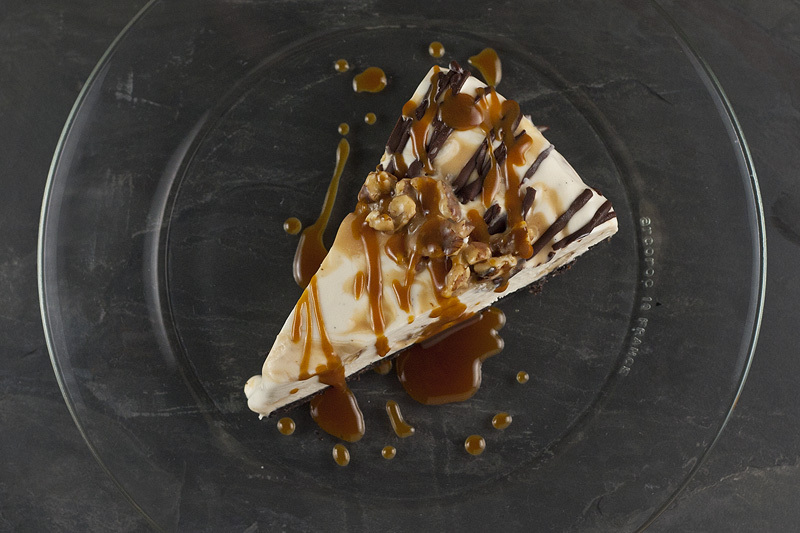 Top with additional caramel, chocolate sauce, or chopped pecans if desired (trust me, it’s desired). It should keep in the freezer for about a week, but holding onto it any longer could risk the formation of ice crystals and the loss of that silky texture. Some days you just wanna make something really easy with whatever you have on hand. I had a day like that last week. I had a craving for a sweet snack and wanted to make something somewhat reasonable with very little effort. That’s where these guys come in. I made these bars two different ways, each way calling for three ingredients. The first one was made with chocolate and peanut butter while the second one was made with chocolate and toasted coconut. They are both really tasty and REALLY easy. This recipe is barely even a recipe. It’s a throw a bunch of stuff together and end up with something tastipe. Tastipe? I tried to make up a cool new word and I don’t think it really worked out. Anyway! 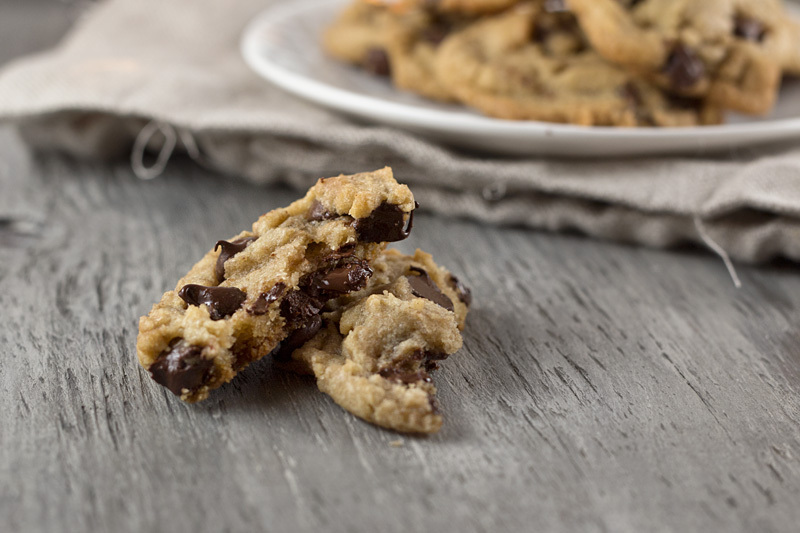 Because of the simplicity of ingredients involved you could definitely up the portions to say… fill an entire cookie sheet or baking dish, then slice it into squares. I can’t afford to keep that much of a good thing around or I’ll eat it all, which is why I only make enough for one bar. I cut the bar in half and eat a square at a time, but I suspect most people will want to eat the whole thing at once which is why I’m going to calculate the calories out as one serving. Also, you can use whatever kind of cereal you have on hand. I used Kashi Go Lean Crisp Cinnamon Crumble (that’s a mouthful – HA FOOD PUN) but pretty much any cereal with fairly small pieces should work fine. Lightly crushing a larger cereal would probably work well too. While I was in the middle of writing this post I stood up and went into the kitchen to make one of these. I wanted to whip out my phone and quickly snap a photo of how I wrap these up before they go into the freezer. It’s not exactly rocket science but a little visual aid never hurt anyone! I also just wanted to eat one. Ain’t gonna lie. 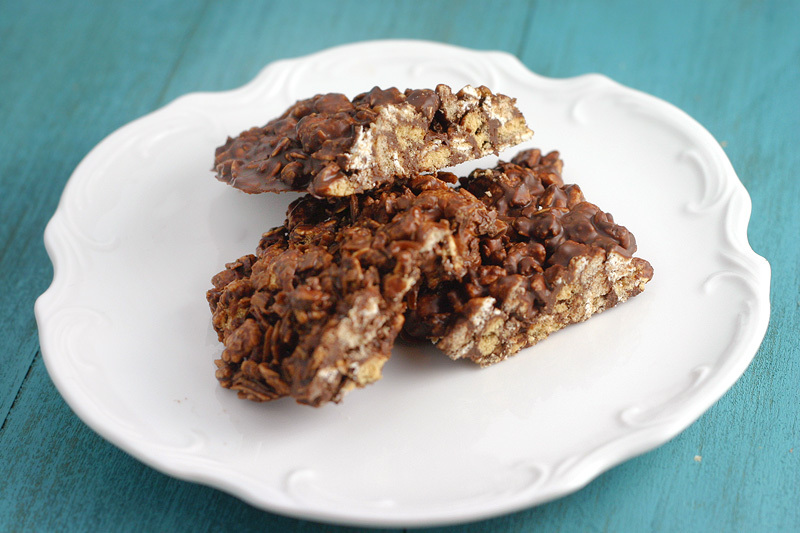 Easy to make, three-ingredient chocolate snack. In a small bowl microwave the peanut butter and chocolate together until melted. Stir the cereal into the melted chocolate until thoroughly coated. 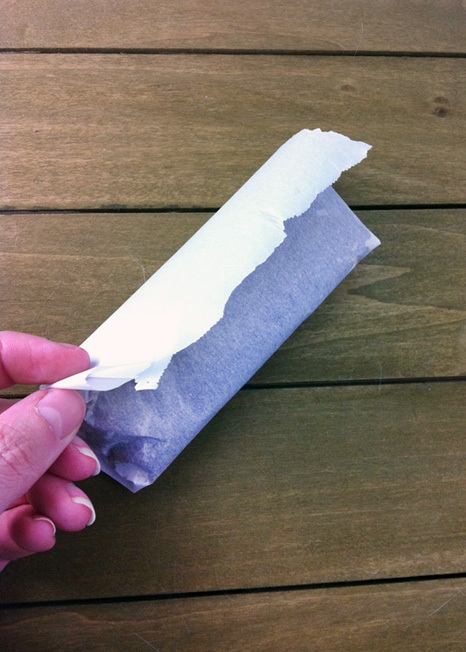 Spread onto a sheet of parchment paper and fold it up, similar to how you’d roll up a burrito – making sure to fold in the edges to keep everything snug inside. This process is forming the shape of the bar so you want to keep it kind of tight to hold the edges in place. Transfer to the freezer to chill to 10-20 minutes until the chocolate has hardened. The amount of time it takes will vary depending on how flat you make your bar. To make the coconut version, sub 1/4 teaspoon of coconut oil and 1 tablespoon of toasted coconut in for the peanut butter. Do I have to tell you how awesome it is that the word chocolate is listed in the description three times? Nope? Alright then, because we’ll be much better friends if you appreciate chocolate in the way that I do – Inception style. Chocolate within chocolate within chocolate. 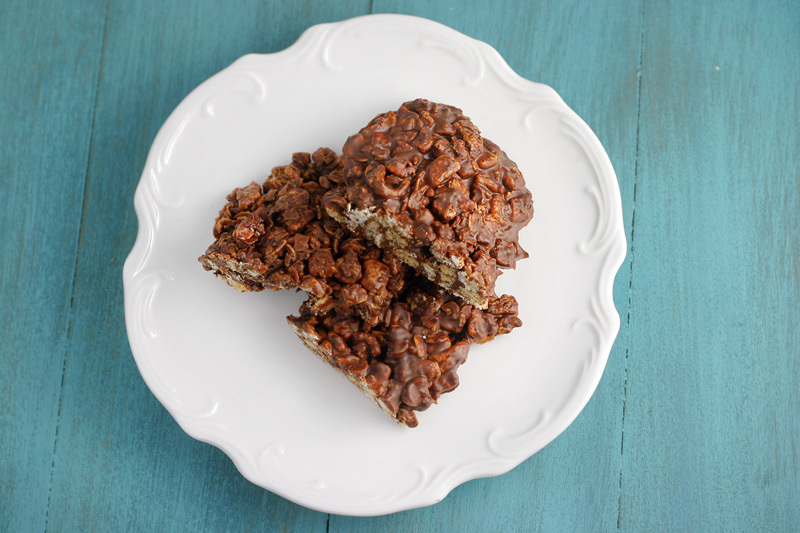 So why not take this awesome store-bought treat and I don’t know… cover it with more chocolate, some dulce de leche, a chewy oatmeal crumble, and salty chopped pretzels? The amount of win in these bars is out of control, man. Tim Tams haven’t always been easy to get in the U.S. and I’d go on to say that they still aren’t easy to find, but since Pepperidge Farm started making them it’s become a lot easier. The true brand is called Arnotts, and I’m able to find them at the local World Markets in the Dallas area. The Pepperidge Farm version is a pretty good knock off – slightly different than the original – but still a suitable replacement. I haven’t actually tried them in this recipe but I see no reason why they wouldn’t work just as well. I’ve been able to find them at Target. I suggest you try to get your hands on two packages. One for the unforgettable (and absolutely required) Tim Tam Slam experience, and the second for making these addictive dessert bars. 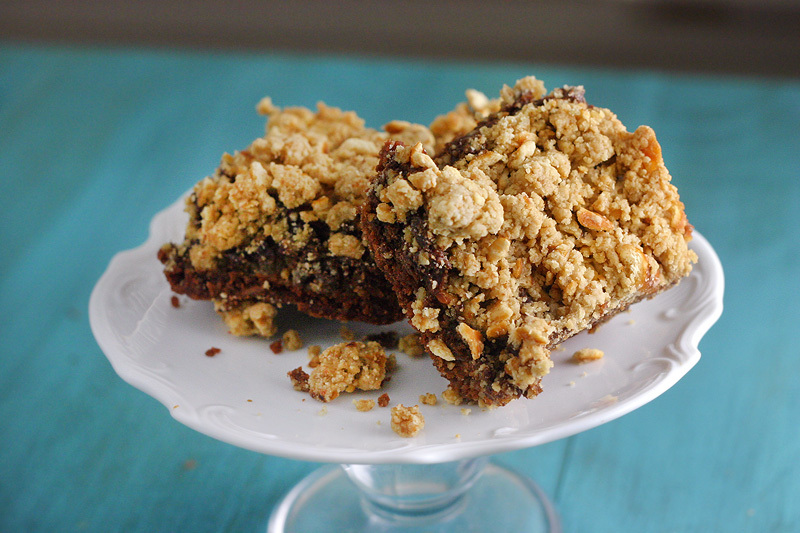 An addictive dessert bar that is chewy, sweet, rich, and a little salty. Preheat oven to 350F and butter an 8×8 inch baking dish. In your food processor pulse together the Tim Tams, 5 tablespoons of butter, and 1 tablespoon of sugar until crumbly. Press into bottom of your baking dish. Spread 1/4 cup of the dulce de leche over the top – it will be a very thin layer. Go back to your food processor and combine the flour, oats, brown sugar, baking soda, salt, 1/2 cup of butter, and 1 tablespoon of the milk. Pulse until the mixture is crumbly and scatter half of it over the top of the dulce de leche. Press lightly into place and bake for 10 minutes. While that is baking pulse the remaining 2 tablespoons of milk and the chopped pretzels into the rest of the oatmeal mixture. 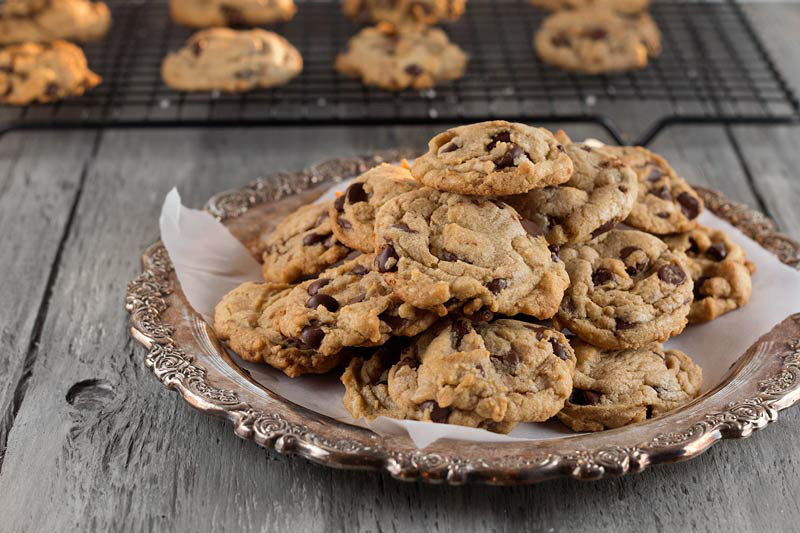 Remove pan from the oven and while still warm, sprinkle the chocolate chips over the top. Drizzle remaining 1/2 cup of dulce de leche over the chocolate chips (I found microwaving the dulce de leche for a few seconds helped make this part easier). Using the back of a spoon very gently level out this layer. You don’t want it mixed, you just want the melting chips to meld with the caramel sauce a little and to have the layer be even. Scatter the remaining oatmeal and pretzel mixture over the top. Press gently to pack the layer down slightly and return to the oven for another 20-25 minutes. This next step is the most important: Let the bars cool completely before cutting. I actually think they do better if you let them cool, transfer them to the fridge to chill, and then cut them. You want that chocolate to be completely firm or you’ll have a gooey mess on your hands. I know that sounds delicious and tempting, but trust me when I say it’s worth the wait to do it right! Slice into 16 squares and serve. 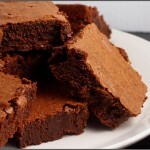 Finally got around to making the brownies from the Baked cookbook. We ate them with scoops of delicious bourbon vanilla ice cream (from Sweet Firefly) and homemade hot fudge. I didn’t include the calorie content for this recipe because I haven’t calculated it yet (and possibly because I’m scared to learn what it is). 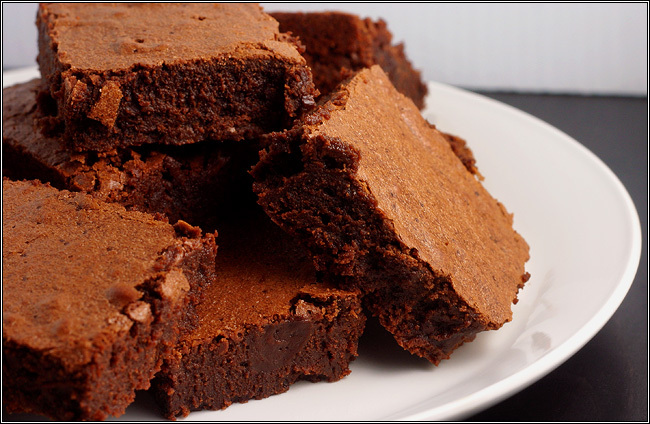 The famous brownie recipe to end all brownie recipes. Preheat the oven to 350 degrees F. Butter the sides and bottom of a 9×13-inch glass or light-colored baking pan. Line the pan with parchment paper. Put the chocolate, butter and instant espresso powder in a large bowl and set it over a saucepan of simmering water, stirring occasionally, until the chocolate and butter are completely melted and smooth. Turn off the heat, but keep the bowl over the water and add the sugars. Whisk until completely combined, then remove the bowl from the pan. The mixture should be room temperature.